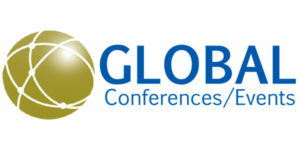 Global Conferences and Events has a great team of specialists to provide you with the best full-service Event Management, that can make your Event/Conference go smoothly in any country, with Experience in 14 countries around the globe has a vast experience with different cultures. We have a great team ready for you, not to make an event but to create an experience for your Company! The team knows that a well-executed event is an important tool to support an organization’s strategic vision, incorporated it into the company’s marketing plan, or used to build networks and client loyalty. Let’s make your Event Memorable! Let us worry about all the details!